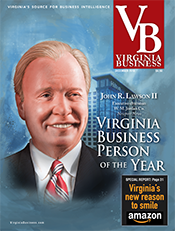 Companies large and small, established and new, invested more than $425 million in the Shenandoah Valley last year, resulting in the promise of 3,300 new jobs. 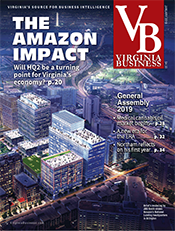 Frederick County achieved historic levels of capital investment and job creation, anchored by Navy Federal’s $100 million expansion of its local call center operations and Amazon’s new 1-million-square-foot, e-commerce facility. Together, the two projects will yield more than 2,400 new jobs. 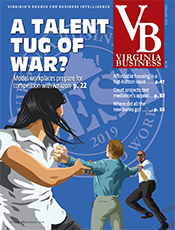 “Certainly, the Navy Federal and Amazon announcements stand out for the sheer number of jobs, but we’re very grateful for all of our business expansions and locations,” says Patrick Barker, executive director of the Frederick County Economic Development Authority. 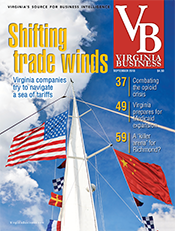 Other announcements in the top-of-Virginia region included building materials supplier 84 Lumber’s decision to open a $3.9 million production facility in the Stephenson area, adding 100 jobs; Winchester Metals’ $870,000 investment to add precision metal fabrication equipment, a third shift and 17 jobs; and Thermo Fisher Scientific’s expansion of its line of medical diagnostic equipment in Middletown, creating 57 jobs. Elsewhere in the valley, economic development was steady last year, officials say. Retail giant Walmart is expanding its distribution center in Rockingham County, a $6 million investment expected to create 123 jobs. Munters Corp., a maker of air-handling equipment for the data-center, food and pharmaceutical industries, has invested $2.5 million to expand and upgrade equipment at its plant in Buena Vista, a project expected to add 100 jobs by the end of this year. 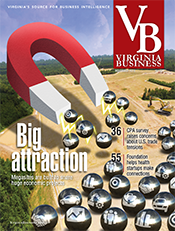 “On the whole, we’re seeing projects with much higher capital investment, especially in the food-and-beverage sector,” says Courtland Robinson, director of business development for the Shenandoah Valley Partnership, which serves Augusta, Bath, Highland, Rockbridge, Rockingham and Shenandoah counties and the cities of Buena Vista, Harrisonburg, Lexington, Staunton and Waynesboro. Examples include Shamrock Farms, which is more than doubling its production of dairy products in Augusta County while adding 70 jobs, and The Hershey Co., which is adding 69 jobs and spending millions on new machinery in Stuarts Draft, the company’s second-largest U.S. facility. Also, DanoneWave has announced a $60 million expansion of its warehouse in Mount Crawford that is expected to create about 50 jobs. The company’s brands include Activia, Dannon and Horizon Organic dairy products, International Delight coffee creamers and iced coffee, Oikos Greek yogurt, and Silk foods and beverages. 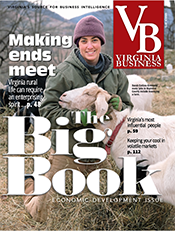 Virginia Economic Development Partnership made a biannual tour of the region in 2016, during which state officials impressed upon Carrie Chenery, the partnership’s executive director, that the valley is a “star” in the food-and-beverage industry and that “we weren’t giving ourselves enough credit,” she says. The partnership took the advice to heart. The VEDP’s visit to the valley this fall will be focused entirely on food-and-beverage companies. 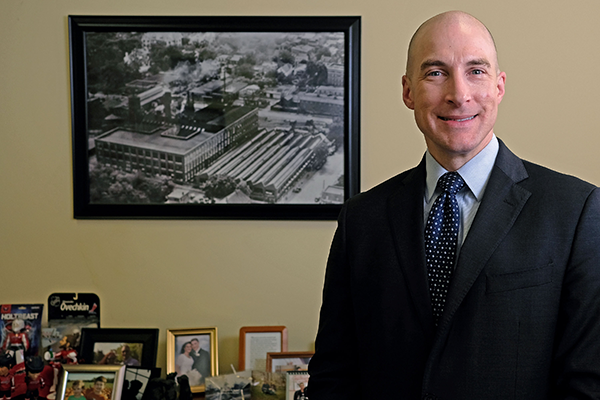 From manufacturing to cold storage to agri-tourism, “our food-and-beverage industry is very strong,” Chenery says. The industry is the region’s largest private employment sector, accounting for approximately 9,100 workers, according to the partnership. The second-largest sector is transportation and warehousing, in large part because of the valley’s location along the Interstate 81 corridor. Employment in those two sectors has jumped 8.2 percent in the last five years, according to the partnership. 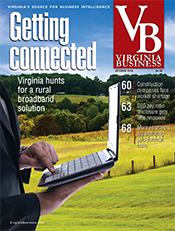 Helping with the task is the Virginia Business Ready Sites Program, a public-private partnership that provides funding to identify marketable properties with greater than 100 contiguous acres. Beneficiaries of the grant program last year were Innovation Village @ Rockingham in Rockingham County, Turkey Knob Road in Mount Jackson, Staunton Crossing in Staunton, Mill Place Commerce Park in Augusta County and Nature’s Crossing Technology Center in Waynesboro. Robinson says the partnership’s member jurisdictions competed for about 5 million square feet of industrial and commercial space and an estimated $600 million in investment. Inquiries were up 70 percent in 2017 over the previous year. 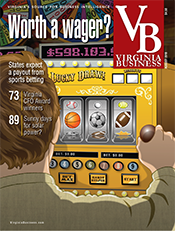 In addition to business-ready sites, prospects are looking for a skilled workforce. Addressing that issue, Blue Ridge Community College will break ground this spring on a $15 million Biosciences Building. BRCC President John Downey says the 40,000-square-foot building on the southern end of the Weyers Cave campus will house a modern nursing lab as well as a new EMT-paramedic certification program. The facility also will serve the local food-and-beverage industry by providing instruction in safe food handling as well as the fermentation process for making wine and beer, Downey says. 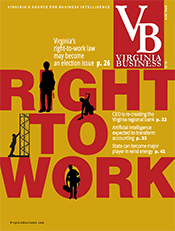 Pharmaceutical manufacturer Merck’s plant in Elkton recently switched from pill production to vaccine production and retrained all of its 700 employees. In conjunction with SRI’s drug research facility outside Harrisonburg, Blue Ridge’s new biosciences building will help ensure that these companies maintain a well-trained workforce, Downey says. Meanwhile, site development finally is underway for the FBI’s Central Records Complex in Frederick County. At the time of its initial announcement in 2004, the federal government expected the facility would be operational by 2010. But Congress’ failure to fund the project allowed those plans to lie dormant until 2014, when Virginia’s congressional delegation secured $97.8 million for its construction. In June 2016, the General Services Administration selected a 60-acre site along Millwood Pike (U.S. 50), east of Winchester. The complex will consolidate the bureau’s paper records currently dispersed in hundreds of locations across the country. Virginia’s U.S. senators, Mark Warner and Tim Kaine, have advocated for the facility after the retirement of longtime Rep. Frank Wolf, R-10th. “Projects like this continue to display Northwestern Virginia’s appeal and proven track record of sustaining critical federal projects,” Warner said in a statement. Another project that will be coming on line in 2018 is the new Hotel Madison and Shenandoah Valley Conference Center in Harrisonburg, a partnership between the city and James Madison University. Chenery, the partnership’s leader, says the hotel and conference center will be significant, not only for its 230 guest rooms, but also its more than 21,000 square feet of event space and breakout rooms for corporate retreats, meetings, weddings and other events. The facility is scheduled to open in May. In addition, Shenandoah Valley Regional Airport has a new carrier, SkyWest Airlines, with daily flights to Washington Dulles International and Chicago O’Hare airports beginning April 3. The airline will provide business and leisure travelers in the region with access to United’s network of destinations. SkyWest has a track record for “consistent, on-time transportation,” Chenery says, adding that the deal also has the potential to increase the number of tourists who visit the region. 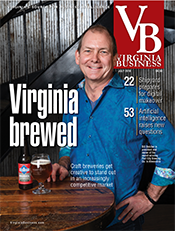 In 2016, valley tourism officials launched the Shenandoah Beerwerks Trail, which linked about a dozen local craft beer producers in the central and southern valley. 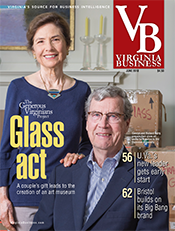 Last year saw the opening of the Shenandoah Spirits Trail, which connects more than 40 local wineries, craft breweries, cideries and distilleries from Harrisonburg to Winchester-Frederick County. Both trails allow travelers to “sip” their way through the region while also taking in the area’s natural scenery, farm-to-table dining and outdoor recreational opportunities. “It’s a good branding opportunity for the valley,” Chenery says. 1 Company has headquarters in another country.